How many stars do you give Velvet Double Agent Sponge by Sunday Ivy? After receiving this beauty sponge from GlamGeek in the pink version, I’ve given this sponge a go after sticking to my Real Techniques sponge. I really really love this sponge! It doesn’t absorb as much foundation as my other sponge and it applies product more flawlessly and I feel that it blends a lot easier than with my other sponge. Plus I love the feel of this sponge as it is velvety. Only thing is that it is more difficult to clean the sponge but apart from that it’s great! Thank you so much for this recommendation, I honestly think I have saved a whole bottle of foundation since I started using this in January. 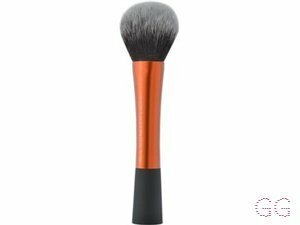 Its so soft, it says you can use a brush too but Im still using brushes except when Im out then its amazing for multipurpose. I can't recommend this more, I love it and they keep releasing so many new cool products can't wait for my unicorn blender to arrive next. Lickle-Boo, Peapea and Amestarz and 3 others like this. Great new concept for a sponge. 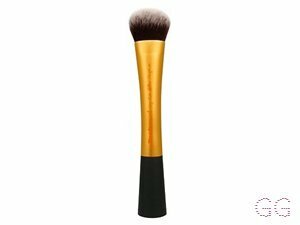 There are lots of things I love about this sponge...it doesn't absorb my foundation so less product is wasted product, the micro fibre surface is a dream at blending and its really cheap. However, I cannot give it 5 stars because I could just not cover my spots like I can with my beauty blender. 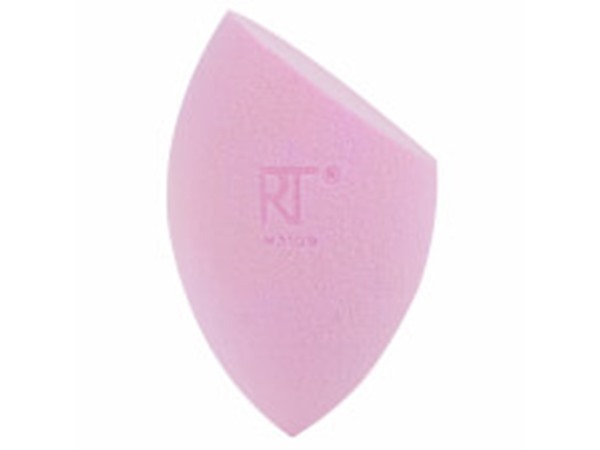 I tried dabbing more foundation on my spots but it just didn't seem to work, so had to revert to my beauty blender. The other problem I had with this sponge was that I found it a challenge to apply my concealer and eye primer with the blunt end, I keep smearing product over my eye brows and eyeliner. I will not mark it down a point for the shape of the sponge as they also sell a pointed top one which I am going to purchase. Overall it is a great price and leaves your foundation flawless and has only lost a point for not covering blemishes on my chin. MakeUpGeek, Lickle-Boo and Amestarz and 6 others like this.  I was very lucky to receive one of these after being chosen for a winning review so thank you Glamgeek. It arrived in a very nice little egg-shaped container which is great, loved the shape of the blender, and it feels just like velvet. OMG this applied my foundation beautifully, It was just so easy to use and gave amazing flawless coverage without having to use a lot of product. I will be looking to purchase again and I will definitely be recommending to friends. This is a must! GlamGeekClaire, Ashli and Beautyviews and 4 others like this. I was lucky enough to receive this from Glamgeek, and was both excited (YAY! They like my review!!!) and a bit disappointed (I wish I got something to review that I will use more than a blender - what did I do with my foundation, anyway?!). It arrived in a cute little plastic egg which I appreciated as it protects it from picking up stray pieces of fluff. It is SO annoying to get fibres stuck to my nicely applied foundation. On taking it out from its case, I wasn't sure how this slightly fuzzy sponge was going to really be any different to anything else I've used in the past, but I put my skepticism aside and gave it a go. Sunday Ivy say on their website that it can be used dry for powdered bronzers, blush and highlighters, or wet for liquid foundation, concealers and contouring. So I wet it and was immediately bewildered; this fuzzy blender isn't sponge like at all - in fact, it absorbs very little water. Wet it, squeeze it, and it is just damp. It doesn't drip or need another squeeze; it is just the perfect amount of moisture. I wasn't sure if I'd notice whether I used less foundation than with my current favourite blender, but I immediately realised that I covered far more of my cheek with less product than usual and my foundation actually gave the sort of coverage I'd expect after two applications. On top of that, whenever I needed to dab it in to more foundation, it was apparent that this blender didn't look anywhere near as beige as I would expect. 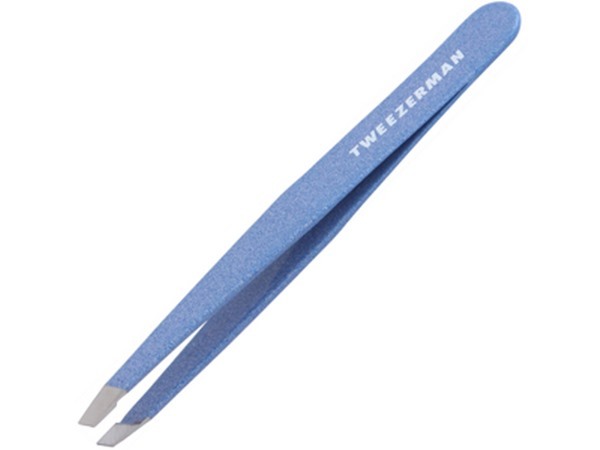 The shaped tip means it is easy to apply around the eye area, and was handy in making sure I didn't get any product in my eyebrow. I'm really truly pleasantly surprised. I thought I had my dream blender but this one from Sunday Ivy is going to replace it in the future. It is cruelty free and latex free too! I would gladly pay more than £6 for it; talk about a steal! MakeUpGeek, Ashli and Beautyviews and 7 others like this. ✨I. Am. Shook! 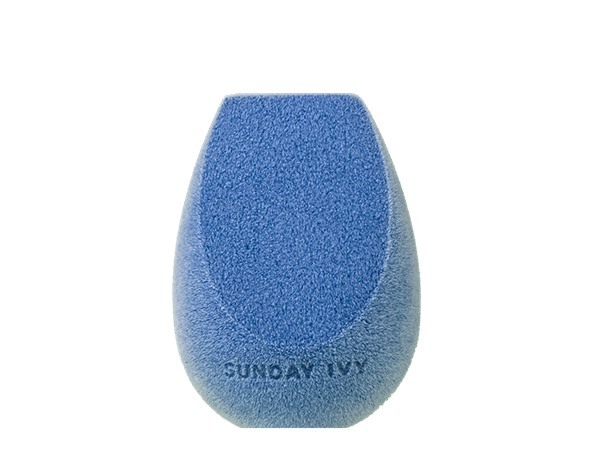 Never before did I think I would get so excited by a beauty sponge! I was a bit dubious at first when I opened it - it’s so fuzzy and I’m thinking “What the hell?” and there is going to be no benefit from the design. I don’t know what it is about the design or the technicality's, but compared to the Beauty Blender it gives a much better air brush finish, with both Foundation and Concealer (without using any additional brushes). The claims about it using less of your liquid product are definitely true, whilst still delivering full coverage perfection. The price tag of these is an amazing £6, compared to the Beauty Blender at £16. This is the ONLY beauty sponge I will be using from now and I actually can’t wait to throw out some of my existing ones to make room for more of these! GlamGeekClaire, MakeUpGeek and Peapea and 5 others like this.